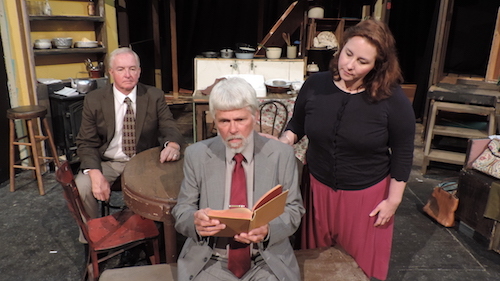 Oglebay Institute’s Towngate Theatre opens its 50th season of community theater with the Pulitzer Prize and Tony Award winning play “The Diary of Anne Frank” by Frances Goodrich and Albert Hackett. You can see the show for two weekends –September 21, 22, 23 & September 28 and 29. Following the war, Otto Frank received Anne’s diary from his secretary, who had saved it. He worked to get her writings published, and, in 1947, “The Diary of a Young Girl” was released. Her writings are a record of optimism, anticipation and, above all, life. Since its publication, the book has become a symbol of hope and resilience that has been translated into dozens of languages. The play is set behind the offices where Otto Frank worked in Amsterdam, in a secret annex where the Frank family is hiding from the Nazis. The Van Daans, another Jewish family, share the cramped space with the Franks. Before long, they must take in Mr. Dussel, a grumpy dentist. The heroic Miep Gies and Victor Kraler, who hid the families, visit and provide food and information. Taylor Andrews plays Anne Frank. Emily Bench is Margot Frank. Walt Warren plays Otto Frank and Cathie Spencer is Edith Frank. Rob DeSantis has the role of Mr. Van Daan and Maria McKelvey is Mrs. Van Daan and Adam Marquart portrays Peter Van Daan. Evan Oslund is Albert Dussel. Jim Showalter is Mr. Kraler and Elizabeth Jeffers plays Miep Gies. 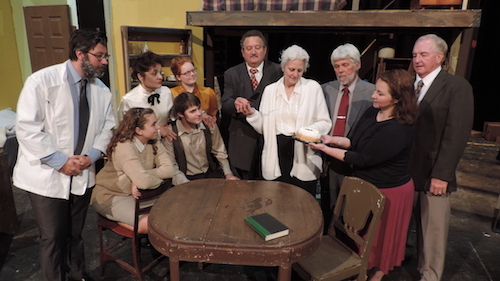 This is the first play of Towngate’s 50th season, which is sponsored by Unified Bank. Other upcoming shows include: “Miracle on 34th Street,” “The Shaughraun” and “Our Town.” Visit www.oionline.com for show dates and details. Towngate is the premiere venue for community theater in Wheeling. The theater provides an intimate theater experience with talented local actors performing in a variety of though-provoking, heartwarming, comedic and historically significant works from renowned playwrights and talented newcomers. 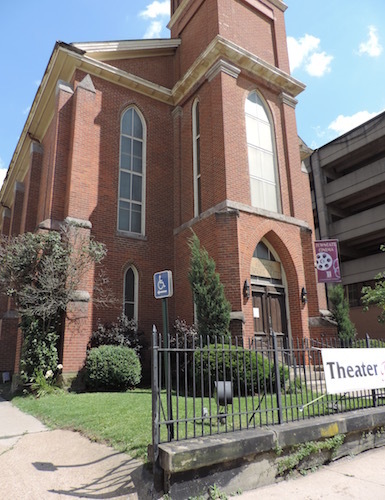 A church-turned-theater, Towngate is located in Wheeling’s historic Centre Market District. In addition to community theater, Towngate also offers poetry and spoken word performances. You can watch children’s theater, too. Attend a ballet. See improvisational comedy and live music. Towngate is also home to the Wheeling Film Society. View changing art exhibitions on display in The Gallery at Towngate. Theater classes for children and adults are also offered year-round. 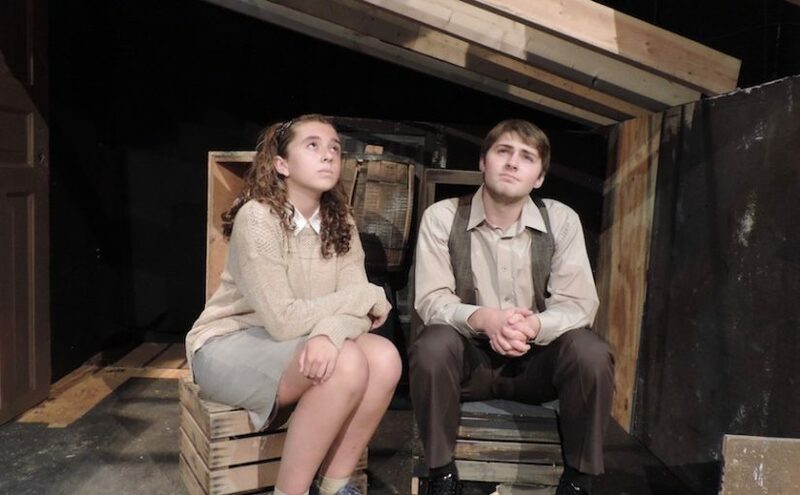 Evening performances of “The Diary of Anne Frank” take place at 8 p.m. September 21, 22, 28 and 29. A matinee performance takes place at 3 p.m. Sunday, September 23. Purchase tickets for this show or any Towngate show in advance at www.oionline.com or by calling 304-242-7700. If available, you can also purchase tickets at the door.